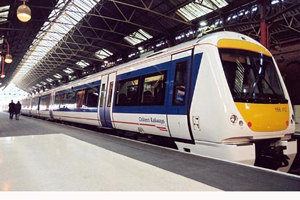 Chiltern Railways has appointed DRP Group to hold its senior managers' conference at the end of September. DRP won the new business following its digital media team's delivery of an interactive game that Chiltern Railways unveiled at its Taste of Birmingham festival stand in July. The event will be focused on customer awareness and DRP has been working closely with the client to design an interactive day for 60 delegates that includes team-building activities. Delegates will also be encouraged to cascade key messages back to their teams post-event. DRP Group managing director Dale Parmenter said: "It is great for the team to start working on this new project with Chiltern Railways as we have similar business values and place the same level of focus on our service to customers. It will be a great experience working closely with Chiltern to deliver this conference and I have no doubt the event will be hugely successful in achieving its goals."